Their Bio-Detection Dogs are trained to find the odour of diseases, such as cancer, in samples such as urine, breath and swabs. FIND OUT MORE ABOUT THE BIO-DETECTION DOGS HERE. Their Medical Alert Assistance Dogs are trained to detect minute changes in an individual’s personal odour triggered by their disease* and alert them to an impending medical event. 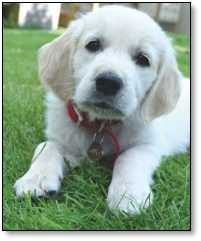 FIND OUT MORE ABOUT THE MEDICAL ALERT ASSISTANCE DOGS HERE. They receive no government funding for the work they do and rely entirely on the generosity of donations from trusts and the public. MEDICAL DETECTION DOGS ARE LOOKING FOR PUPPY SOCIALISERS.